A high-profile main-road site in Clayton with a 10-year triple-net lease to a national tenant has sold for $20.5 million. Barwon Investment Partners acquired the 27,180 square metre site at 1868 Dandenong Road to sit within its institutional healthcare property fund. Colliers International’s Adrian Rowse, Tony Iuliano and Justin Fried brokered the deal following a hotly contested expressions-of- interest campaign. “There was very strong interest in the asset from a variety of investor groups from the time we went to market,” Mr Rowse said. Located on the western side of Dandenong Road within Clayton’s highly regarded commercial and industrial precinct, the property has a mix of high-quality office, laboratory and warehouse accommodation across two buildings, with a lettable area of 8,623 square metres. There is parking for 324 vehicles. “The $20.5 million sale price reflects a return of sub six per cent,” Mr Iuliano said. The 10-year leaseback term commenced prior to settlement in January 2017 at $1.205 million per annum, plus GST and outgoings. Additional income is received from a telecommunications tower onsite. 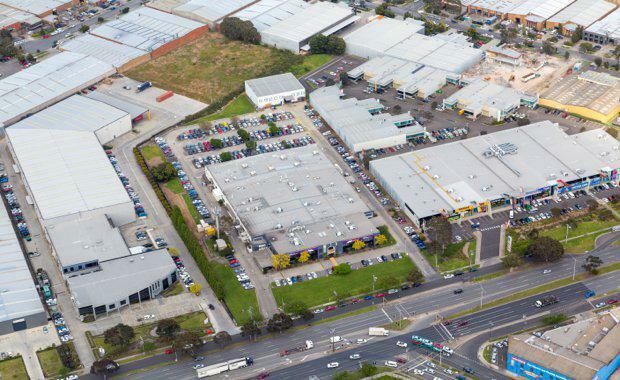 About 60,000 vehicles pass the site on a daily basis due to its high-exposure location in the Monash technology precinct and close proximity to Springvale Homemaker Centre and other well-known commercial, retail and industrial operators, including Autobarn, AMF Bowling, Godfreys, Petbarn and Dulux. “Clayton is one of the largest centres of science, technology and research in Australia,” Mr Iuliano said. Mr Rowse said the competitive on-market process for 1868 Dandenong Road unearthed a wide range of buyer groups, both nationally and off-shore, with about 75 enquiries and seven genuine expressions of interest received. “The interest in this offering and the final sale price demonstrate the ongoing high demand prevalent for industrial assets at present, in particular those with long-term leases in place offering security of income,” he said.